Mediation is a negotiation process in which two or more parties use a neutral and impartial third party (mediator) to assist them in resolving a dispute or planning a transaction. The primary concern is not legal rights but shared interest and values. It is not the function of mediation to determine who is right or wrong. Because mediation is a confidential process it works effectively when the disputing parties participate in good faith and are willing to share their real needs and interest with each other and the mediator. Courts have recognized a mediation confidential privilege of information based on public policy considerations. The final agreement (stipulation) is considered a contract and is enforced under the general principles of contract law. 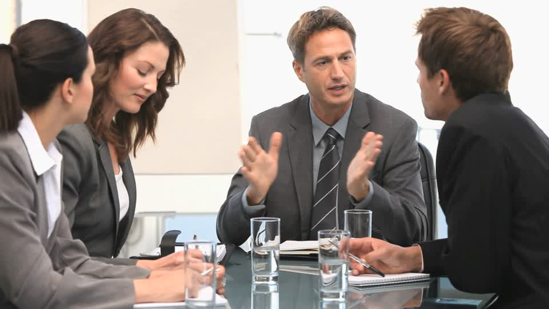 Many disputes faced by employees can be caused by poor communication, lack of clarity, and lack of group skills. Today’s employees are much more isolated in their responsibilities then in prior years, as they sit in front of a computer for most of their daily activities. Another reason for workplace disputes is that employees are expected to be familiar with so many aspects of their company. Lastly employees are more self-sufficient which is more likely to cause difficulty when working in groups. Many employees have said, “that they could do their job faster and better on their own, so why are they forced to work in groups?" (Clare Fowler) Let Hickman Mediations show you how working in groups/teams can benefit your workplace. *If you think your workplace can increase its communication, efficiency, and overall moral, through workplace mediation, contact Hickman Mediations & Arbitrations LLC., at: (407) 483-4469. Are you at a point where a neutral third party is needed to resolve a dispute? Are you willing to negotiate to resolve the issue? Would you like to resolve your issue in a timely manner? Would you like your settlement to be private and not public record? Can you negotiate your dispute without a lawyer? Is your goal to resolve the dispute without having to go to court and file a claim? 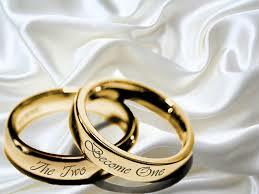 If your answer to these questions are yes, then mediation is the right step for you to pursue. Keep in mind, that many courts now require mediation prior to litigation. Check with your local court or an attorney if you are not sure. 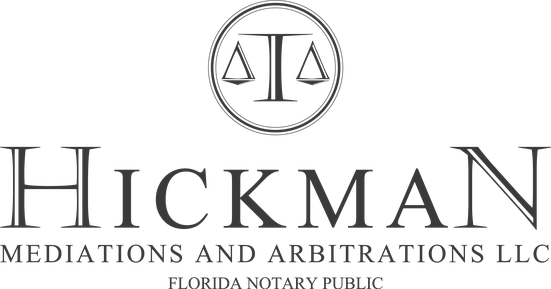 If mediation is the right step for you contact Hickman Mediations & Arbitrations LLC., at (407) 483-4469. We put our clients first! All rights reserved Copyright 2019 Hickman Mediations & Arbitrations LLC.